Performance Lab Energy Review – Non-Caffeinated, Mitochondrial Mind Power! If you’re a truly advanced nootropic geek, then your health concerns shouldn’t only be cerebral but corporeal — after all, the body encases the brain, right? And if your body’s energy levels are off, then your vulnerable, sloshy brain is soon to follow. Which is why energy boosters, such as Performance Lab Energy, are great: they not only improve your body and brain’s energy levels but they do so through improving your body and brain’s energy production levels. It’s the neurohacker pathway to better energy, as opposed to the cheap stimulant flush provided by your run-of-the-mill caffeine supplement. But is Performance Lab Energy truly powerful enough to get you geeks back on your feet? Or is the energy rush as common and short-lived as that cup of joe you’re likely drinking right now. Only one way to find out: let’s read the Performance Lab Energy review! 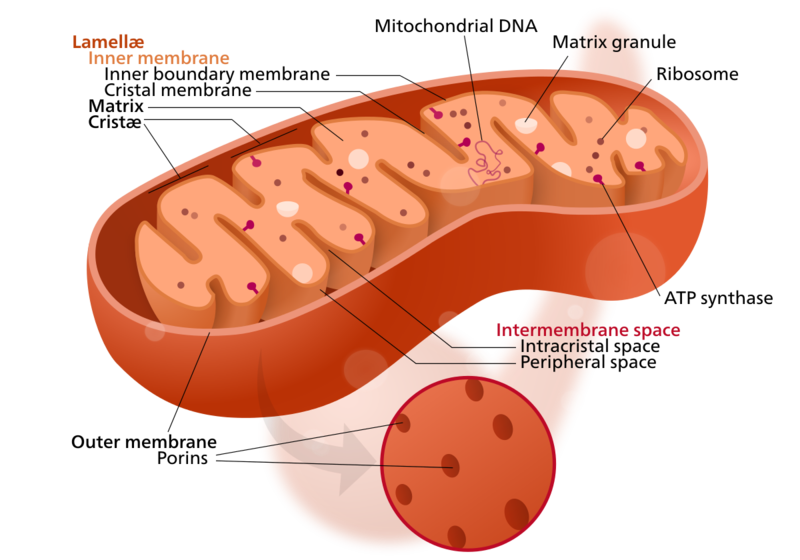 Performance Lab Energy Review: Mitochondrial Mind Power! Who Takes Performance Lab Energy? Conclusion: Does Performance Lab Energy Work? Instead of cheap, risky stimulants with potential side effect risks, Performance Lab Energy relies on antioxidant energizers that boost energy on the molecular level. BioPQQ®, MicroActive® Q10, Bio-Enhanced® R-Lipoic Acid — Performance Lab Energy stacks premium ingredient brands with (lest we forget) formula enhancer BioPerine®. Thank you Kanye, very cool! Directions: Take 1-2 capsules in the morning and 1-2 in the early afternoon as needed. If exercising, take one serving 45-60 minutes pre-workout. For best results use daily and consistently. 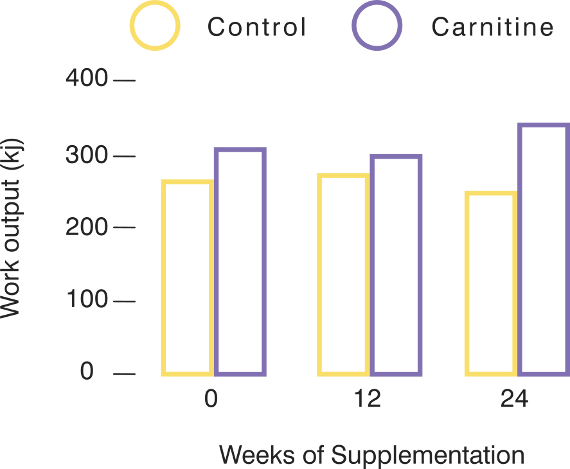 Acetyl-L-Carnitine – ALCAR is not only a molecular energy enhancer but a body composition support amino. And it accomplishes both by essentially improving the efficiency with which mitochondria, the body’s cellular “power plant” organelles, converts fatty acid chains into ATP energy. During exercise, ALCAR may help sustain muscular energy while prompting the body to burn fat-stored energy. 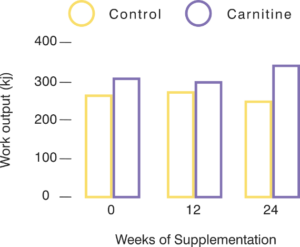 In nootropic terms, ALCAR’s benefits seem to primarily benefit older folk; however, the compound’s energy benefits are worthwhile to younger exercisers as well. More on ALCAR. R-Lipoic Acid (as Microencapsulated Bio-Enhanced®) – Viewed as the “Universal Antioxidant”, R-lipoic acid not only helps reduce oxidative damage across the brain and body but assists with mitochondrial antioxidant status, essentially enhancing mitochondrial output. 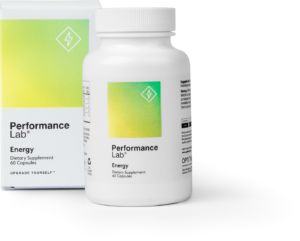 Performance Lab Energy supplies the Bio-Enhanced® R-lipoic acid brand form, which is more stable and bioavailable than your usual lipoic acid supplement. More on Lipoic Acid. In addition to protecting mitochondria from free radicals, ALCAR and R-lipoic acid both support the formation and function of Acetyl CoA, the fatty acid chains that work as mitochondrial energy fuel. The result? More fatty acid fuel for mitochondria to burn into energy — which also means more of the body’s fatty acids being burnt, which means a better body composition! It’s like a win-win-win. More on Nootropics for Brain Energy. Coenzyme Q10 (as MicroActive® Q10) – Another mitochondria boosting compound, CoQ10 plays a critical role within the ATP electron transport chain, essentially facilitating the conversion of food energy into ATP energy. Additionally, CoQ10’s antioxidant status helps protect and regenerate mitochondria affected by oxidative stress. Performance Lab Energy’s MicroActive® branded Q10 has an enhanced bioavailability and longer release, increasing CoQ10 levels for a longer period of time. PQQ (as BioPQQ®) – Pyrroloquinoline Quinone (or PQQ, if yer lazy) complements CoQ10’s mitochondrial actions by stimulating mitochondrial biogenesis, influencing mitochondria activity via genetic pathways. PQQ’s antioxidant status is reportedly 5,000X greater than that of vitamin C, making it another key mitochondria protector. More on PQQ. Black Pepper Extract (as BioPerine®) – YES! 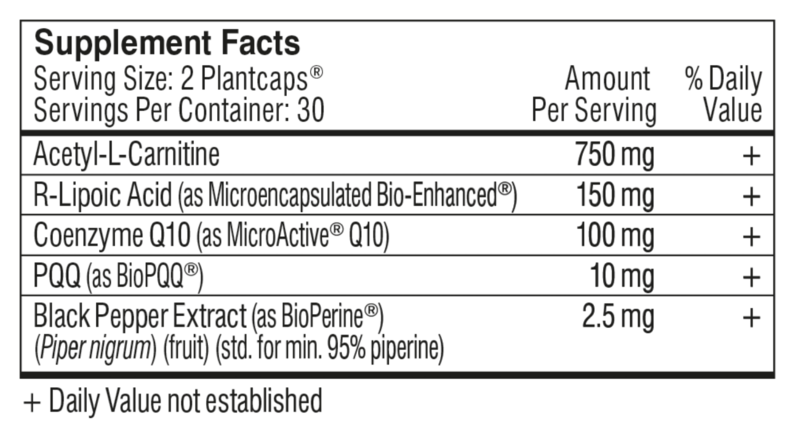 BioPerine® is always a good addition to any supplement, thanks to its nutrient absorption enhancement benefits. Even with the enhanced ingredient forms in this formula, this black pepper extract may significantly improve the absorption, and thus bioavailability, of Performance Lab Energy’s ingredients. A-T-P it’s easy! It’s like counting up to 3! When fatigue and fog hit the brain, here’s what many, if not most, people do: they drink coffee, they drink soda, they drink energy drinks… they drink another coffee. In other words, they consume caffeine, the world’s most popular and pervasive stimulant drug. The only problem with this form of stimulation: The Crash. Essentially, The Crash is the cognitive comedown from cheap, temporary mental stimulation. Sure, the stimulation feels good and may get you through those grinding mid-day barriers, but if long-term health and productivity interest you at all, you’ll need something other than caffeine in your nootropic regimen. Read my in-depth review on caffeine. Performance Lab Energy works as a healthier energy option, supplying high quality antioxidants that don’t simply give you energy but enhance your body’s natural energy production levels on the molecular scale. Specifically the mitochondrial scale: the body’s energy production sites all across the brain and body. Essentially, mitochondria receive your body’s dietary food energy and converts it into usable ATP, the body’s basic energy unit. By enhancing mitochondrial function, Performance Lab Energy increases your energy threshold across-the-bar. It’s a sincere, effective nootropic strategy for increasing brain energy. And it’s one I’m a particular fan of, even more so than the caffeine + L-theanine duo that many nootropic geeks prefer for their daily energy source. (To be frank, I’m down for both ATP enhancement and the caffeine + L-theanine combo, because why the hell not?) Compared to other nootropic energy supplements that take the molecular route to boosting energy, Performance Lab Energy still impresses with its high quality and potency — the latter of which is ensured by the stack’s use of BioPerine®, an almost essential add-on for these otherwise low bioavailable ingredients. Granted, Performance Lab Energy doesn’t deliver on all of your nootropic needs — only those related to cognitive energy. And even so, adding a little citicoline may further help with your brain’s bioenergetics. Yet, it’s one of the best energy stacks I’ve seen — definitely worth adding to your brain (and body) stack collection. Performance Lab Energy supplies advanced mitochondrial support, as opposed to your usual caffeine energy attack. The ingredients are all high quality and potency, an impressive feat considering how difficult these compounds can be to consume otherwise. Antioxidant-on-antioxidant synergy — it isn’t just that these ingredients boost energy but they boost energy together, amplifying their effects beyond what they might accomplish individually. Clean and safe — in the supplement game, “energy” is a risky topic. Performance Lab Energy’s clean capsules and safe ingredients are refreshing. You can only buy Performance Lab Energy through the Performance Lab website — no GNC or Amazon pricing options. If you buy more boxes per order from the Performance Lab website (https://www.performancelab.com/), the price per serving reduces by 5% (for 2 bottle orders) and 10% (for 3 bottle orders). Performance Lab® Energy can help anyone seeking to enhance their overall performance and life vitality in a healthier way than traditional stimulants. As it supports energy production at the cellular and molecular levels, Performance Lab® Energy promotes whole-body vitality in all populations, with extra support for active individuals who are training to improve body composition. In other words, Performance Lab Energy targets energy-seekers who are also stimulant-deniers. Customers looking for a healthier energy option than your usual caffeine, stimulant, Red Bull, etc. mental rush. Needless to say (or perhaps it does need to be said), Performance Lab Energy works for both the mental and physical workout, improving performance across-the-board. You can buy Performance Lab Energy through the Performance Lab website (https://www.performancelab.com/supplements/energy/). At time of writing, this seems to be the only place where you can buy this bad boi. For energy, yes — Performance Lab Energy works. This is the primary benefit of Performance Lab Energy: better energy levels. However, with better energy levels comes a wide spectrum of secondary benefits, considering that ATP energy is involved in who-knows-how-many brain and body processes, such as brain regeneration, maintenance, activation, and so on. Without energy, there’s no cognition. The brain, with its WAY high energy demands, simply doesn’t work when your energy levels are low. And I’m talking actual energy levels — that good ol’ ATP stuff — as opposed to temporary caffeinated “band-aid” energy. Performance Lab Energy does a solid job at giving us the former. Which is why I’m pretty amped up (ha ha!) on this energy booster formula. To learn more about Performance Lab Energy and its ingredients, hit the following link: Click here to learn more about Performance Lab Energy.